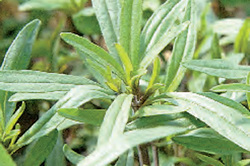 SSite: Summer savory is an annual that craves rich, loamy soil and lots of sun. Winter savory is an evergreen perennial and the ideal site for this low growing shrub is a light, well-drained soil in full sun.Growing: Winter Savory is stunning in front of the perennial border. It will thrive in your garden even when the temperature dips to minus 18 degrees. It grows to a height of 15 inches. Summer savory will depart as soon as there is frost in the air. Or you can grow summer savory or lemon savory (a summer variety) in a hanging basket or pot so it can trail over the side inside by a sunny kitchen window. Harvesting: You will be able to harvest summer savory lightly after 6 weeks, and in another month you can harvest normally. Harvest winter savory's fresh leaves as needed; for drying, cut branches before plant flowers, bunch them together, and hang them upside down in a warm, airy place, then remove leaves and store in an airtight jar. Culinary Uses: The leaves of savory have somewhat peppery flavor with a minty thyme undertone. Summer savory is sweeter and lighter than winter savory. Both types of savory are used in the same way - they are the traditional flavoring for broad beans and lentil soup. 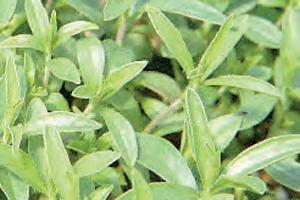 Summer savory will enhance fish, vegetables, cheese and eggs, pea soups, beans and many other dishes. Tomatoes have a particular affinity for savory so you might try slipping a bit into your next tomato sauce. Summer savory combines well with other herbs, bringing out each flavor without overwhelming. Since winter savory is stronger then summer savory so you need to go easy at first until you can control the intensity. Winter savory, which should always be cooked, is better suited to strong meat dishes and hearty bean stews.